Aged in American oak, the 2016 Cabernet Sauvignon Bin 707 stands out for its bold aromas of vanilla, tobacco and cassis. This year, it's close to 40% each from Coonawarra and McLaren Vale, with smaller proportions from Barossa Valley and the Adelaide Hills. 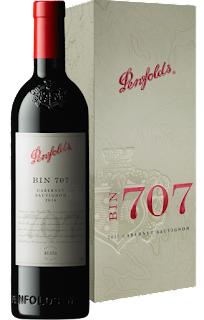 It's full-bodied and rich, with a velvety mouthfeel, great intensity and super length. Yes, it's embryonic, but it's not unapproachable, much like any other high-quality New World Cabernet these days, with the ability to age for two decades or more.